The main aim of the WSA Archives is to ensure an accurate record of the development of Subud is managed and preserved across all media. Since 2005, the WSA has been planning for a sustainable archival management system that is in line with current archival practice. In 1989 at the 8th World Congress in Australia the decision was made to form five international archives centers: one each in Indonesia, Australia, Japan, the United States and the United Kingdom. Security backup copies of crucial archival material, such as the founder of Subud, Muhammad Subuh Sumohadiwidjojo’s (Bapak’s) talks and correspondence, are located in each. 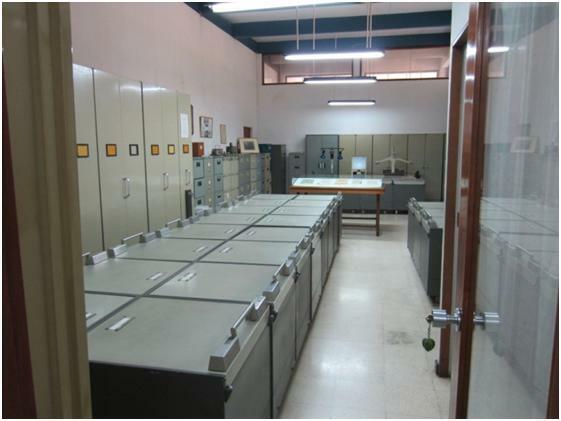 The primary source material that constitutes the WSA Archives exists predominantly in two places: the Cilandak Archives in Jakarta, Indonesia, (photo) and the Canberra Archives in Australia. The Indonesian Archives hold Bapak’s and his daughter’s, Mrs. Siti Rahayu Wiryohudoyo’s, (Ibu Rahayu’s), original documents and the Australian Archives hold the majority of all other international materials, including those for writing the History of Subud. The work of the WSA Archives is coordinated by Armand Bisson in France. The team includes the following: Amalijah Thompson in Canberra, Australia, who was the former Archives Coordinator from 2005 to 2011 and head of the tape preservation project for Bapak’s audio tapes; Daniela Moneta from the state of Arizona in the U.S. and who served as archivist at Cilandak from 1987 to 1993, Farlan Williams who heads the Indonesian Archives, Ichiro Nakamura who heads the Japan Archives, and Solihin Garrard who heads the UK Archives. One of the pioneers of WSA Archives was Faisal Sillem from Belgium. In the late 1960’s Faisal began copying and distributing tapes in his region and later, in the mid 1970’s, he founded and managed the Tape Preservation Unit (TPU). Faisal built a collection of audio recordings of Bapak’s talks and catalogued Bapak’s journeys which formed the Tape Preservation Unit (TPU). Saudah Higashi from Japan became coordinator of the archives from 1987 to 1993, Lester Sutherland from Canada was coordinator from 1993 to 2001, and Reinier Sillem from Belgium followed as coordinator until 2005. Download a history of the WSA Archives from the WSA Archivist, Amalijah Thompson. The Subud World Congress in 2010 resolved to preserve the archives to the latest archival standards and particularly to preserve the talks of Bapak and Ibu Rahayu. As a result, an internationally recognized media archiving firm was hired to restore and preserve the over 1,300 original recordings of Bapak and those of Ibu Rahayu. A searchable, electronic finding aid is being developed to be used as a reference source by the organizational and spiritual bodies of Subud as well as affiliates and partner organizations.